Early childhood education plays an important role in establishing academic foundations and future educational outcomes. 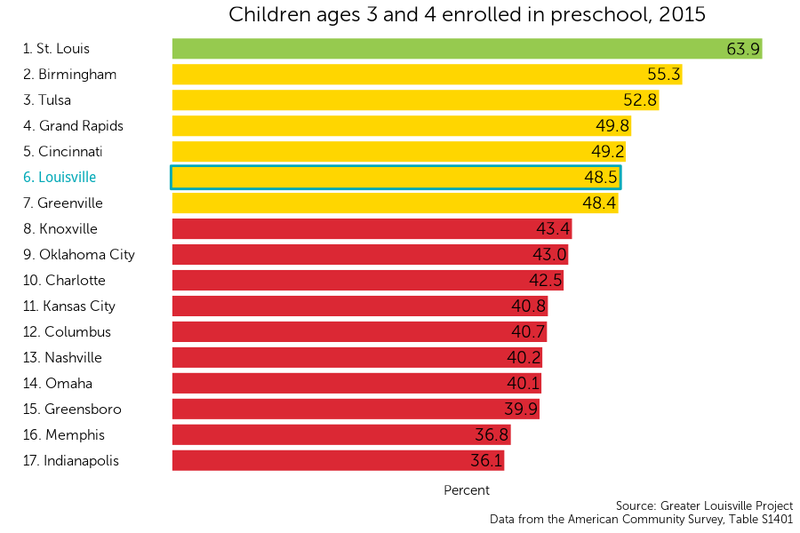 Pre-school enrollment for 3- and 4-year-olds is important for enabling them to enter kindergarten at the same level as their peers. The first years of a child’s schooling are very influential on their educational trajectory. Pre-school enrollment is strongly associated with the educational attainment of caregivers. Those who have lower levels of educational attainment are less likely to enroll their own child. 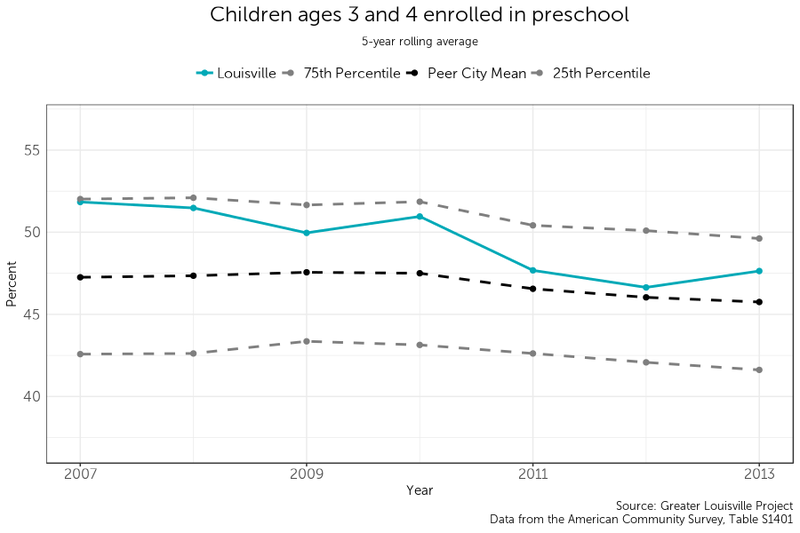 Louisville currently ranks 6th among its peer cities in rates of pre-school enrollment, with 48.5% of children aged 3 and 4 enrolled in preschool. Louisville is in the middle of its peer group according to a natural breaks algorithm. Cities in green are those that outperform their peers, cities in yellow represent the middle cluster, and those in red lag behind their peers on this indicator. Preschool enrollment in Louisville has been steadily decreasing since 2007 with the exception of a distinct but transitory increase in 2010. While peer city averages have remained largely stagnant over time with little significant change, Louisville’s trendline has decreased at a more rapid pace than that of the peer city average.